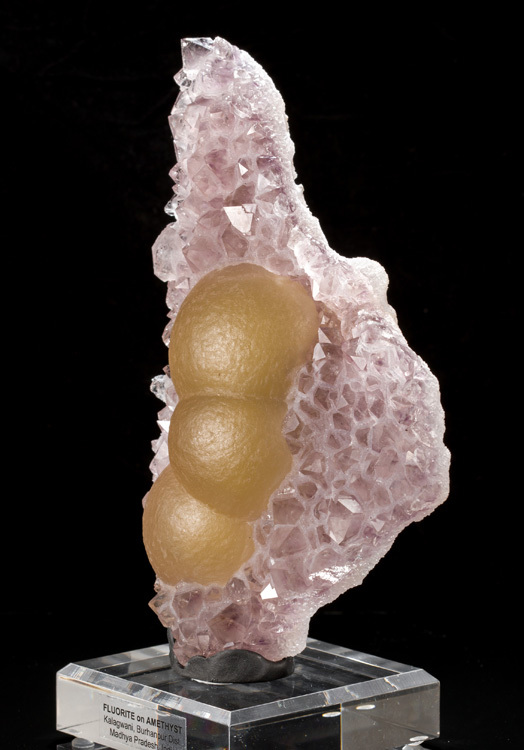 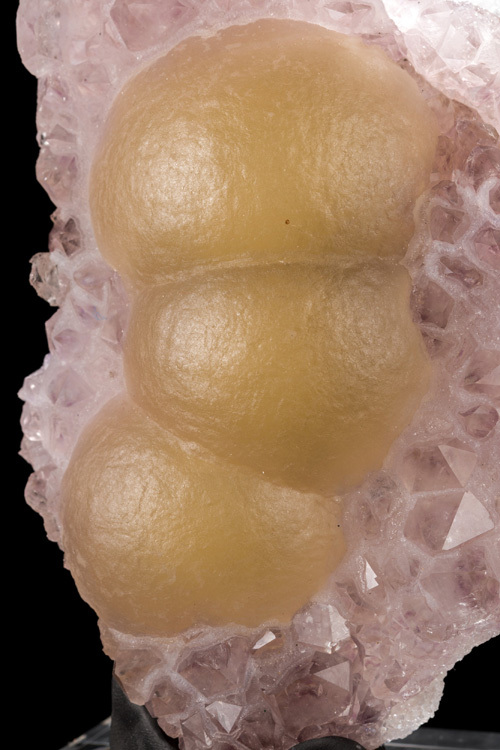 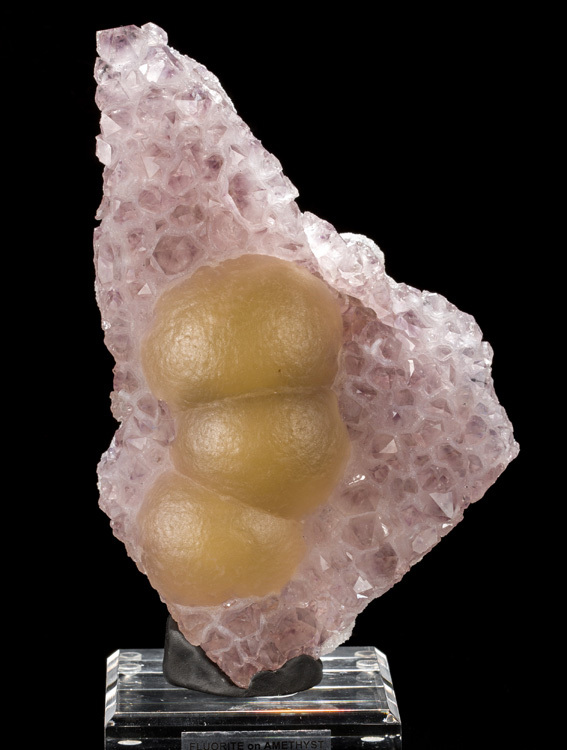 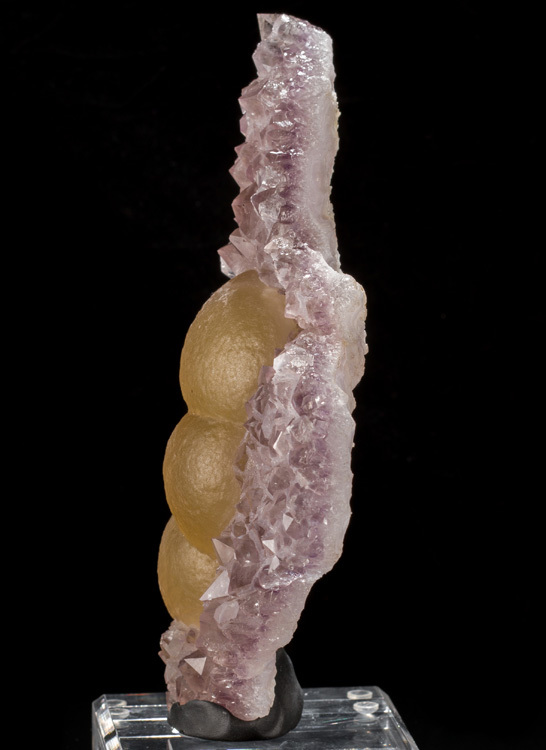 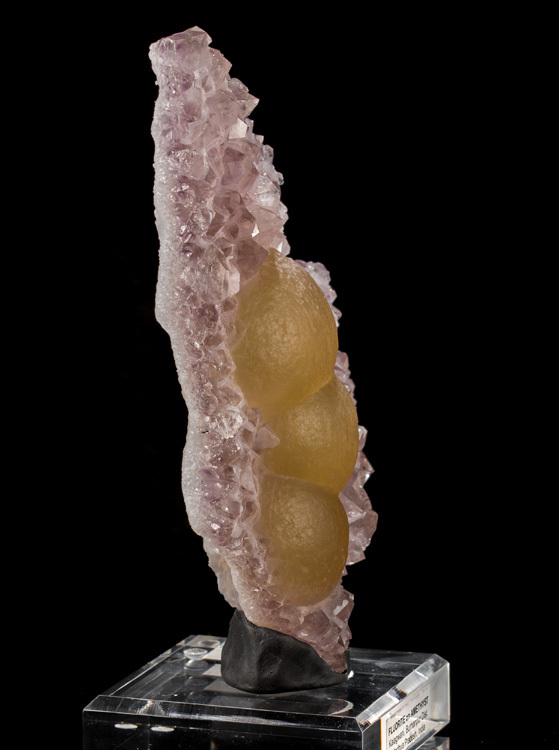 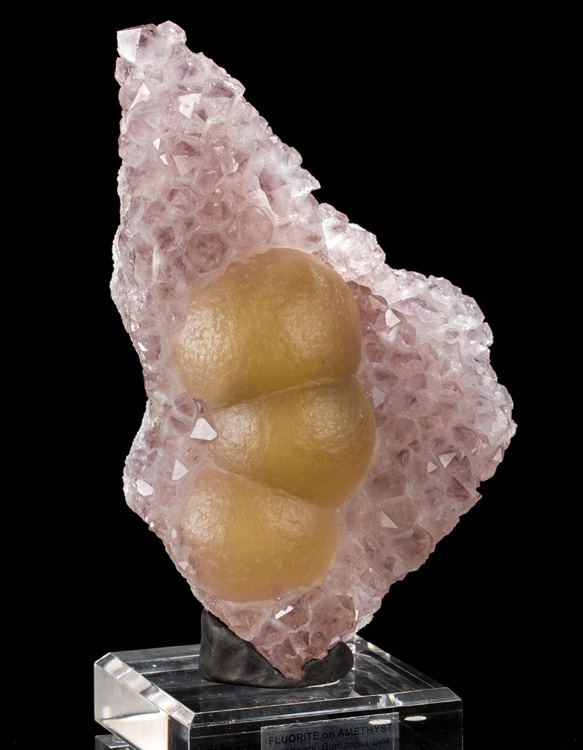 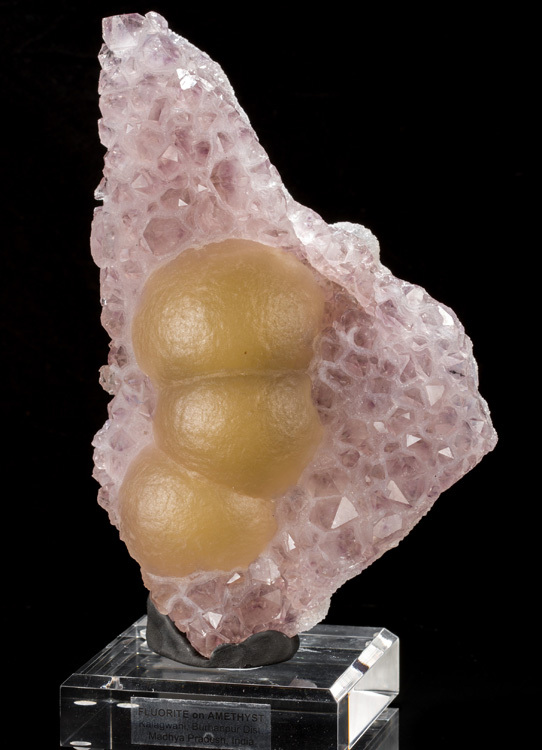 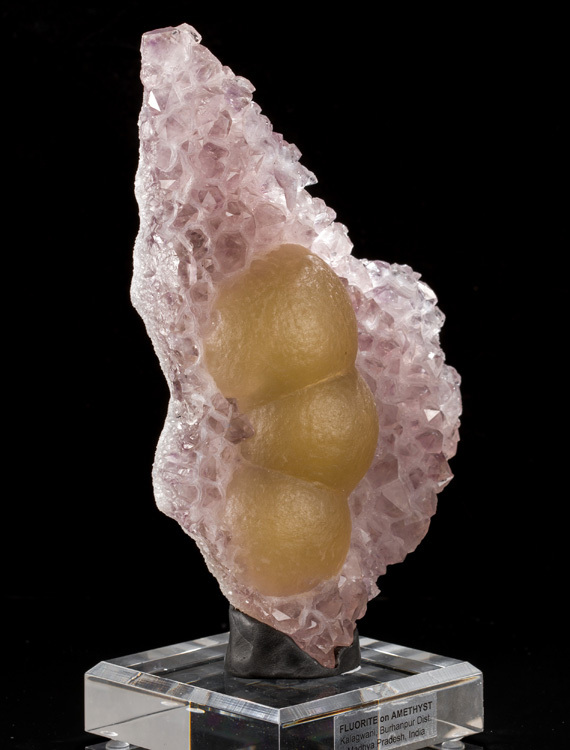 Here is an exceptional specimen of botryoidal, yellow fluorite on amethyst from India. 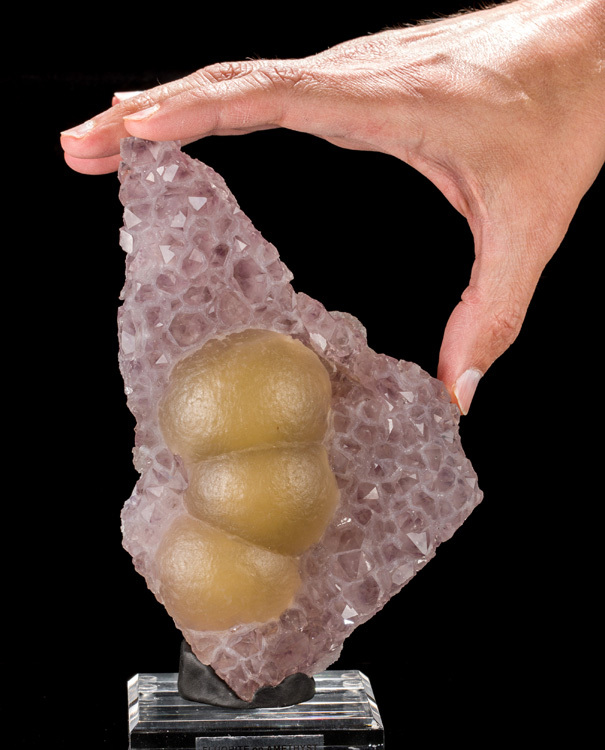 There are 3 fluorite balls, the largest of which is 5.4cm wide. 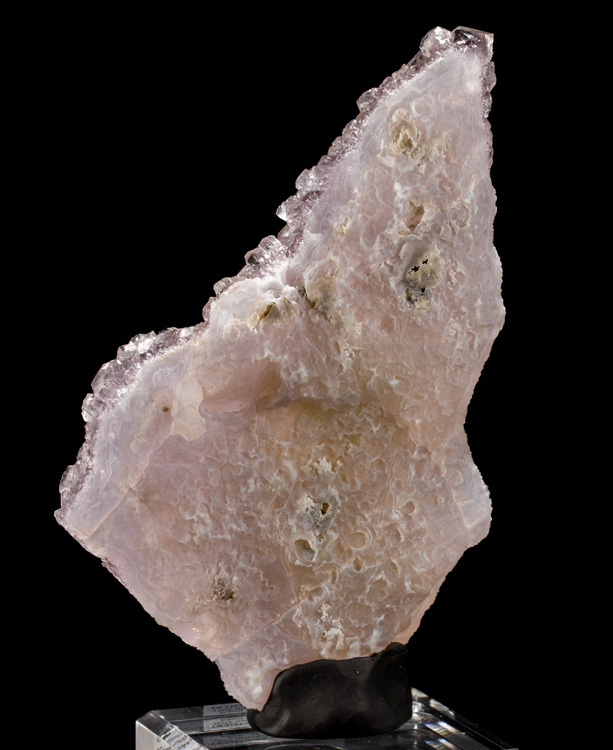 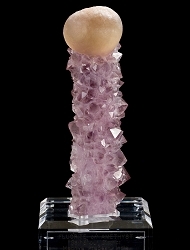 The amethyst is a pale purple with lighter druzy quartz inbetween the crystals. 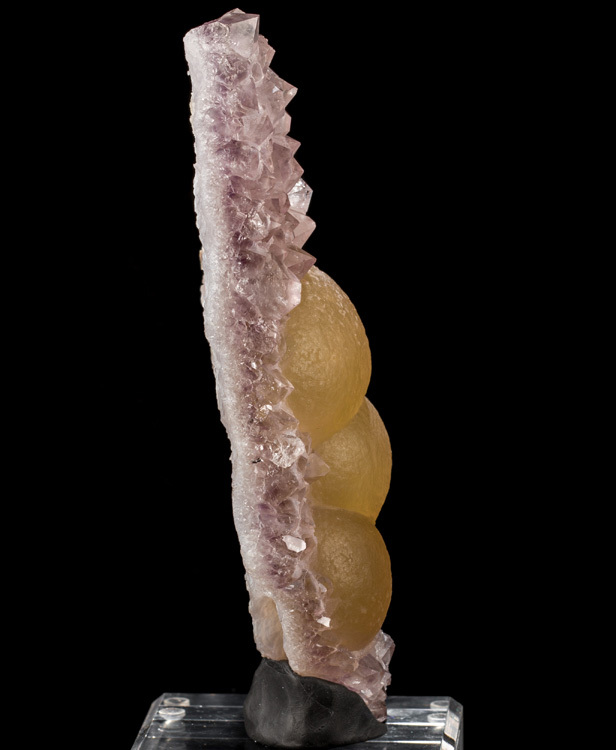 There is no damage or dings on the fluorite, and no damage that we could see on the amethyst other than the trimmed areas on the edges.